Development at Danske Bank never stops. We offer opportunities for a diversity of experienced professionals. From private bankers to software engineers. From investment bankers to process consultants. Read more about some of the areas where we are hiring now. Joining Danske Bank was an easy decision for me. Not only because I have always been good at math and interested in banking. It's more that for me, growing up in Lithuania, it was an opportunity to become part of an international company where I could get to know Scandinavian culture. We're now 2,000 employees in Vilnius. Growing together with Danske Bank has been an amazing experience. I'm proud to play a part. Danske Bank is pushing the boundaries of banking through leading, innovative solutions. 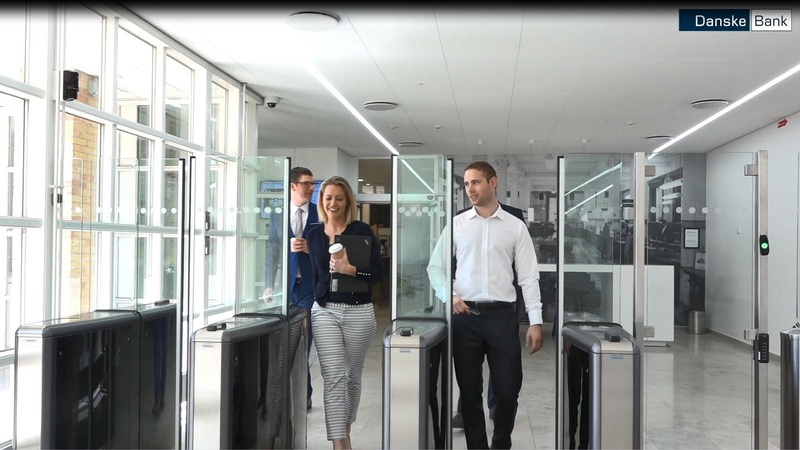 This requires new, digital profiles for units across Danske Bank – including MobileLife, our innovation hub, and Group IT, our community of 3,300 IT Professionals at our development centres in Denmark, Lithuania and India. Danske Bank has a clear ambition: To be number 1 on customer experience. We offer career opportunities across the Nordics for banking professionals with different capabilities and for all of our business units. Our customers and the world around us are changing. So are we. We are constantly looking for new solutions that will change how we work and serve our customers. To help us with that we are always looking for new colleagues with consulting skills to join us. What I really enjoy about working in Danske and the financial industry are the challenges. We work with real-time transactions. This means that everything we do has a huge impact and that a slight mistake can have big consequences. Having to stay sharp and on my toes is intellectually stimulating. I have also had great support from my managers in my ambition to work towards a role as business analyst. They have really helped me believe in myself and develop the skill set necessary to flourish in my new role. Fostering a sustainable workplace focuses on the physical, structural and cultural working environment that we provide for our employees.